How would you like to haunt a ghost? 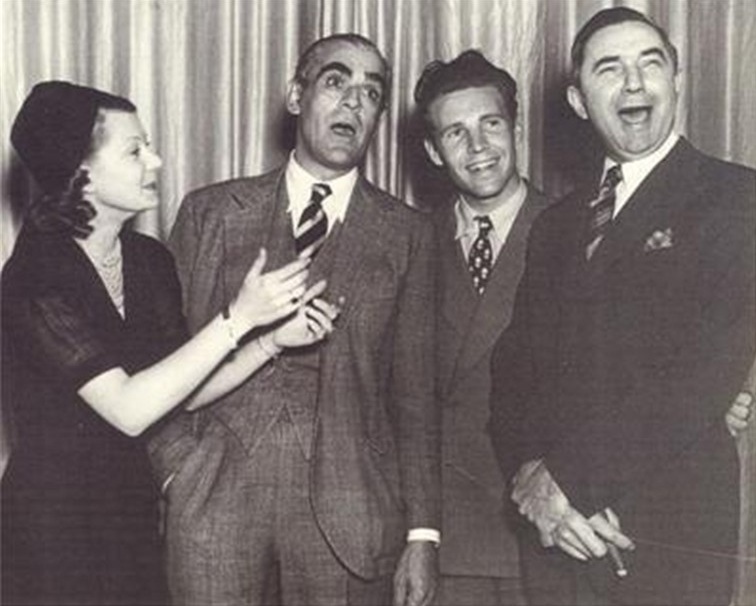 Radio will try that trick Sunday night when Boris Karloff and Bela Lugosi, two guys who make big dough trying to be cussed mean on the screen, shake hands as Ozzie Nelson’s guests Sunday night at 7:30 on KDKA. Once before they worked together, in a picture called “The Raven.” Sunday they will do an “in person” collision of movie spirits. We’re villainous, killinous, lecherous, treacherous, toughiest, roughiest men. For the rent must be paid. We’re horrible, horrible, horrible, horrible, horrible, horrible men. We’re villainous, killinous, treacherous, lecherous, toughiest, roughiest men.